Product prices and availability are accurate as of 2019-04-15 01:42:46 BST and are subject to change. Any price and availability information displayed on http://www.amazon.co.uk/ at the time of purchase will apply to the purchase of this product. 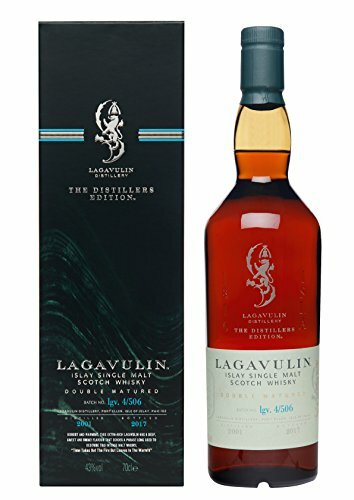 "70cl / 43.0% - Lagavulin's Distillers Edition bottlings are allowed a finishing period in casks that previously held sweet, sticky Pedro Ximenez Sherry. The result is a magnificent blend of classic Islay salty peat smoke and intense Sherried sweetness. This is the 2001 Distillers Edition, which was bottled at 43% ABV in 2017."